Are There Biodegradable Electronics in Our Future? With large technology companies continually releasing cooler, faster, sleeker televisions, smartphones, and computers, the global e-waste problem is more severe than ever. According to a United Nations StEP initiative report in 2013, Americans each generated an average of 65 pounds of electronic junk, and that number is only going to increase. In the next four years, the global volume of electronic waste is expected to increase by 33 percent. The Atlantic reports that up to 80 percent of all discarded electronic devices and appliances end up in dumps. 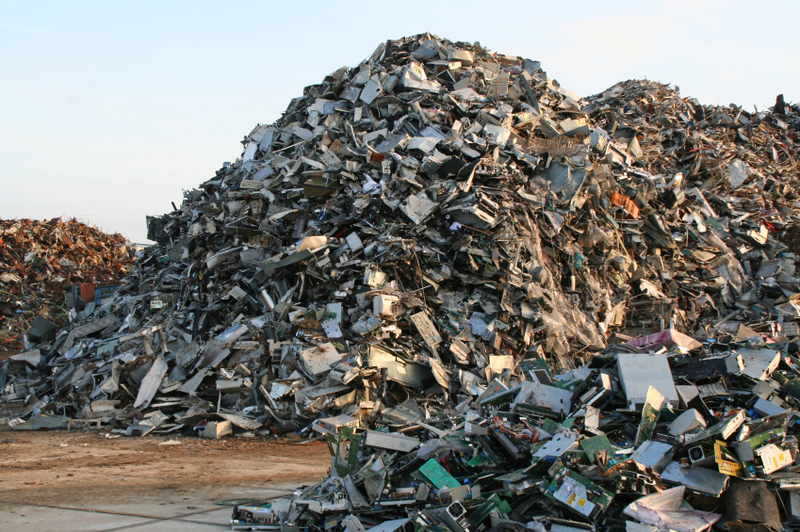 The fact that so many retired electronics end up in landfills is a problem for many reasons. Computers, monitors, televisions and phones all contain materials that are extremely harmful to the environment. Today, we came across an article that makes us optimistic that biodegradable electronics could very well be a part of our future. According to Green Optimistic, German scientists are currently working on creating electronics that can be composted. A team from the Young Investigator Network at Karlsruhe Institute for Technology (KIT) is working on a technology to develop electronics components that are made entirely from natural plant extracts. The team is very hopeful that it is possible to produce electronics that are 100% biodegradable. That would mean that once the data has been destroyed, companies and individuals could compost retired IT assets. “They are already able to produce semiconductors and dyes from plant extracts and gelatin, where silicon is replaced by starches and cellulose, while the insulation is created from the gelatin,” the article states. We’re hopeful as well and look forward to following this story.